Deca-Durabolin, sometimes referred to as “Deca” for short, is the brand name for an injectable anabolic steroid called nandrolone decanoate. It’s one of the most popular anabolic steroids that bodybuilders use, second only to Testosterone in terms of popularity. It is also highly regarded within the medical establishment for a number of reasons. This substance is, in fact, present in very small quantities in the human body; but it was made commercially available in 1962 as prescription medication. The nandrolone hormone was first described in 1960 and was later developed by the international pharmaceutical company Organon, and sold under the trade name Deca-Durabolin in 1962. However, it is worth noting that nandrolone hormone did actually exist a few years prior to the development of this anabolic steroid in 1957, in the form of nandrolone phenylpropionate. This fast-acting phenylpropionate ester variant did garner a significant amount of bodybuilders’ interest, but unfortunately its extremely short half-life of about 4 days meant that there were limitations on its usage, as it required users to have frequent (daily) injections due to its short action. Deca-Durabolin was introduced as a reinvention of – and a better alternative to – the fast-acting nandrolone phenylpropionate. It came with a decanoate ester affixed to it, which gave it a significantly longer half-life of about 15 days. Deca is a structurally altered form of nandrolone. It is actually an esterified version of nandrolone, where a carboxylic acid ester (or decanoic acid) has been attached to the 17–beta hydroxyl group. Nandrolone hormone, on the other hand, is very similar to testosterone in terms of chemical structure; though it lacks a carbon atom at the 19t” position (which is the reason why the steroid is also called 19-nortestosterone). The esterification of nandrolone (to produce nandrolone decanoate) results in a steroid that exhibits much greater anabolic properties and much weaker androgenic properties compared to testosterone. 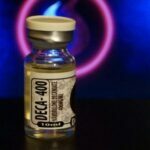 As an esterified steroid, Deca is less polar than typical free steroids; and is, therefore, absorbed more slowly from the area of injection. Once it enters the blood stream, the decanoate ester is removed to yield free, active nandrolone. Esterification prolongs the window of therapeutic and/or performance enhancing effects following administration, which allows for less frequent injections compared to those of free nandrolone. 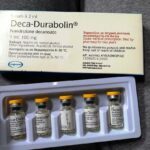 Deca-Durabolin provides a sharp spike in nandrolone release 24 – 48 hours following deep intramuscular injection, but this steadily declines to near baseline levels approximately 2-3 weeks later. Nandrolone decanoate’s anabolic rating is 125, which is slightly stronger than that of testosterone (which is 100). It has an extremely low androgenic rating of 37, compared to testosterone’s 100. This makes it a mild steroid, which is one of the reasons why it is so popular. It offers a great choice for bodybuilders and athletes who are sensitive to or wish to avoid extreme androgenic side effects. Its lessened androgenic activity can be attributed to the fact that it reduces to dihydronandrolone (DHN), a weaker and less harmful metabolite, rather than the more potent androgen dihydrotestosterone (DHT). This makes it much milder than testosterone, and is very well-tolerated in healthy adult s. Deca-Durabolin also has extremely low estrogenicity, and only about 20% of the steroid is metabolized into estrogen when compared to the typical conversion rates of testosterone. The low estrogenic activity of this steroid is attributable to the fact that it is a 19-nor compound. Nandrolone decanoate offers most, if not all, of the benefits of anabolic steroids for bodybuilders. 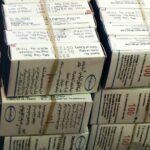 But the steroid’s stand effect is perhaps its positive therapeutic effects on connective tissue and joints, which not only help relieve joint problems but also increases the bodybuilders’ ability to train and achieve desired results. The use of this steroid triggers increased collagen synthesis. Other roids offer this beneficial effect, but Deca does so at a higher level. Research has also shown that nandrolone hormone leads to increased bone mineral content. These effects work to strengthen connective tissue and joints, which can be very beneficial for bodybuilders during bulking, mass gaining and strength gaining cycles. By strengthening connective tissue and joints, this steroid allows bodybuilders to achieve a much higher tolerance to the stressors that affect joints and bone – particularly during resistance training and other forms of resistance training. It gives bodybuilders the ability to train with heavier weights and undertake vigorous exercises more frequently with an increased recovery of joint connective tissue and bone. This makes it easier for bodybuilders to achieve the desired result. Nandrolone Decanoate use is also known to boost insulin-like growth factor 1 (IGF-1) production. This allows users to realize increased energy and athletic performance by enhancing stamina (endurance), strength, oxygen carrying capacity of the blood, the immune system of bodybuilders, and repairing tissue damage that occurs during training. Like other anabolics, Deca-Durabolin increases protein synthesis and nitrogen retention in the muscles, thereby elevating the amount of muscle that can be accumulated. Essentially, nandrolone hormone works by boosting the anabolic drive – which enhances protein synthesis, increases protein utilization promotes nitrogen retention and a positive nitrogen balance, and reduces muscle breakdown (protein catabolism) by suppressing glucocorticoid hormones. Nandrolone decanoate can be used both during off-season bulking and in the cutting phase. It is mostly used as an off-season bulking steroid while stacked with other anabolic steroids. When used for off-season bulking, it can help bodybuilders to achieve significant lean mass gains. These gains are slow (since the drug is a large ester-based steroid); but the mass gained will be of higher quality compared to that of other anabolic steroids. Bodybuilders may also achieve significant strength gains during this phase, but Deca injections cannot be considered the best strength-boosting steroid. The therapeutic relief, specifically the strengthened connective tissue and bone, of this steroid will definitely come in handy during off-season bulking. Like other roids, Nandrolone Decanoate increases metabolic rate allowing bodybuilders to acquire muscle growth with less body fat accumulation. When used as a cutting steroid, bodybuilders are able to realize and take advantage of its performance enhancing benefits. It works well when administered in low doses, providing therapeutic relief and muscular endurance. It also helps bodybuilders retain most, if not all, of their lean muscle mass during a necessary caloric deficit. Deca-Durabolin won’t provide the superb hardening and conditioning effects of typical cutting steroids, but it will definitely preserve a bodybuilder’s lean muscle mass during this period of reduced calorie intake. As mentioned earlier, Nandrolone Decanoate is a mild steroid and a very side-effect friendly substance. Most Deca-Durabolin side effects are temporary and can be successfully managed. With responsible use, healthy adult men can use this steroid without experiencing any serious side effect. Because Nandrolone Decanoate is not very estrogenic, estrogenic side effects are less likely to appear. But since the steroid does carry a slight aromatizing nature, aromatization may still occur, leading to excess water retention (gynecomastia) and high blood pressure. The risk of gynecomastia is also fuelled by the fact that nandrolone hormone carries a strong progestin nature (a 19-no compound that lacks a carbon at the 19t” position) and, therefore, expresses a strong affinity for the progesterone receptor. To combat estrogenic side effects, particularly water retention, users should consider supplementing with anti-estrogen medications like selective estrogen receptor modulators and/or aromatase inhibitors. While Nandrolone’s androgenic activity is very low, androgenic side effects, such as acne, body hair growth and accelerated hair loss in those men who are predisposed to male pattern baldness, may still occur when the drug is used irresponsibly in high doses. Most male users don’t experience any androgenic-related symptoms with this steroid, but the androgenic nature of this drug can cause virilization symptoms in females. Virilization symptoms in women can include clitoral enlargement, a deepening of vocal chords and body hair growth. To avoid the risk of these symptoms, women should use the steroid only in very low doses. Like other roids, nandrolone hormone interferes with the HDL and LDL ratios, causing cholesterol problems. Its ability to suppress HDL (good cholesterol) production is greater than that of testosterone, and can cause real problems for those with cholesterol and blood pressure problems. To eliminate the risk of cholesterol-related health problems, users should implement a cholesterol friendly diet and lifestyle. Perhaps the biggest problem associated with Nandrolone use is suppression of natural testosterone production. While all anabolic steroids will suppress the production of natural testosterone, in the case of Deca-Durabolin usage the suppression is extreme since the drug is a 19-nor anabolic steroid. Users must supplement with exogenous testosterone and implement an appropriate Post Cycle Therapy to avoid the problems associated with a low testosterone condition.